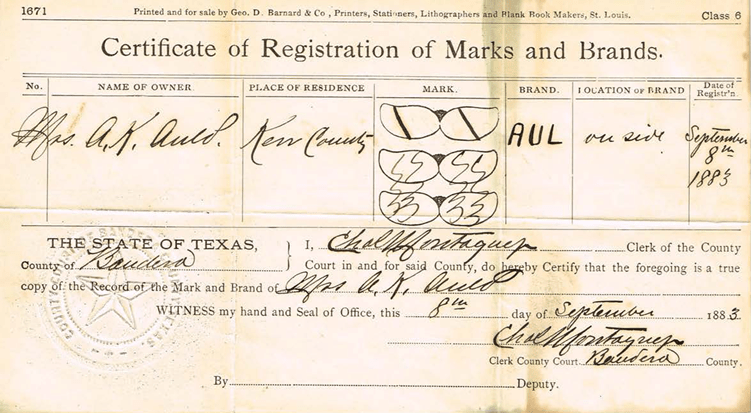 On 25th of August, 1883, as a big part of the new life started in America by Alexander Kennedy Auld, the 30 year old took an oath of citizenship at the Kerr County District Clerk, A. McFarland’s office. 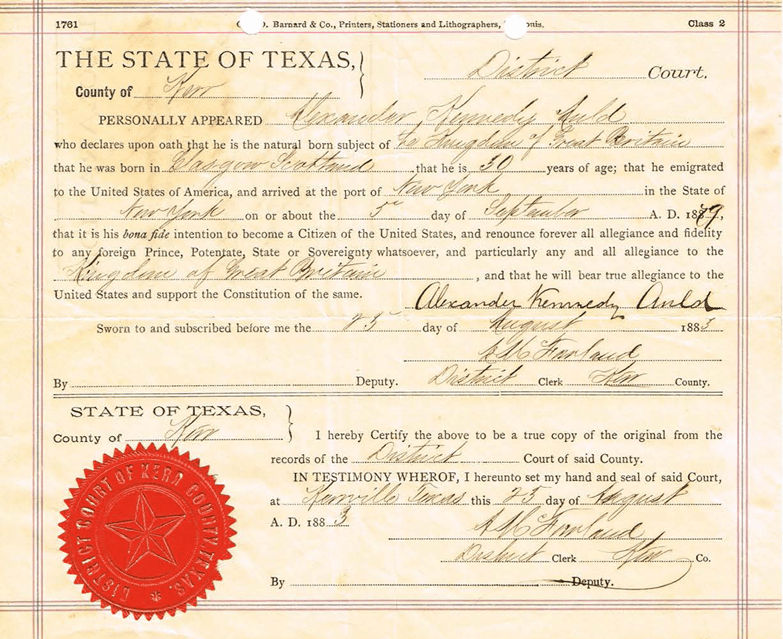 As sworn by Alex, it states that it is his bona fide intention to become a Citizen of the United States, and renounce forever all allegiance and fidelity to any foreign Prince, Potentate, State or Sovereignty whatsoever, and particularly any and all allegiance to the Kingdom of Great Britain, and that he will bear true allegiance to the United States and support the Constitution of the same. 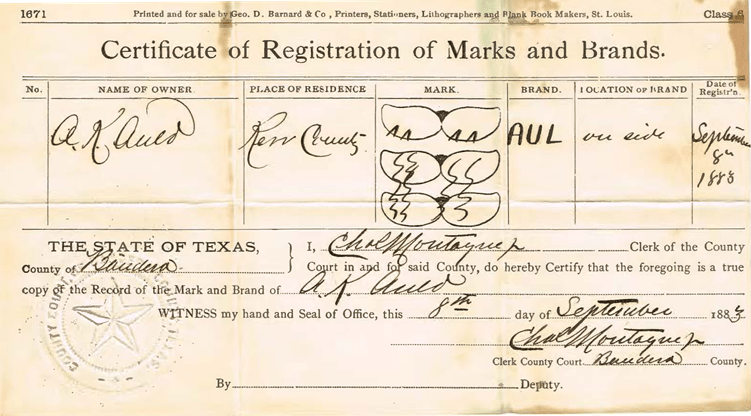 The very next month, Alex and his wife, Susanna registered their brands in Bandera County, for their livestock on their ranch on the Divide. This family consisted of 7-year old Dollie, born 4 Aug 1878, and their little daughter, Maggie Mae Auld, born 21 Jun 1882, who was named after Alex’s sister in Scotland. The remaining children were Annie Lee, born 10 Jun 1885, John Shelby, born 23 May 1888, William, born 5 Jun 1891, Archie, born 20 Jun 1894, Alexander Daniel, born 2 Aug 1896 and Joe Marcus, born 16 Mar 1899. The Aulds were very proud of their family and Alex becoming a citizen of the United States. See more in the blog post Auld wedding – 130 years ago.